The Red Kettle campaign is under way — and veterans are helping in the effort. 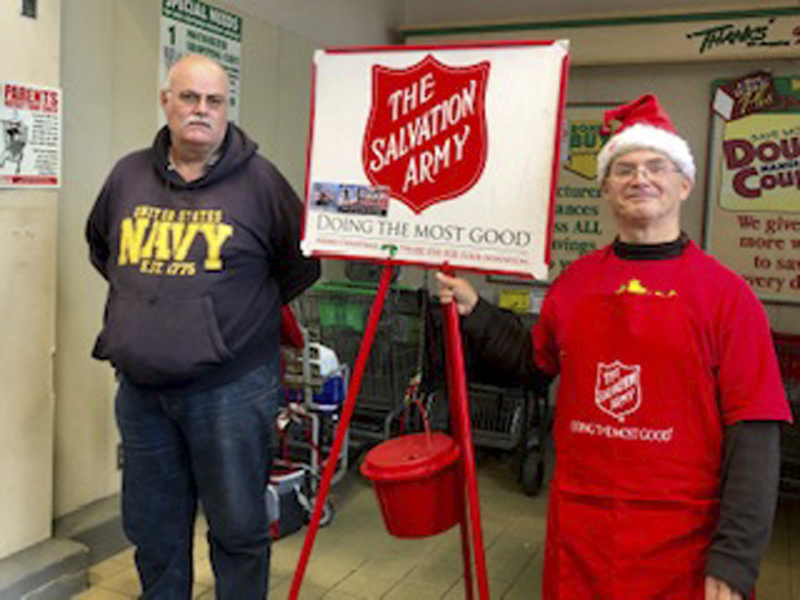 On the left is Ed Dragon, a veteran of the Navy and the Dunkirk Fire Department, in his second year volunteering. On the right is Andy Dyckes, this is his third year volunteering. To assist in the fund-raising effort, call the Salvation Army at 366-3701.